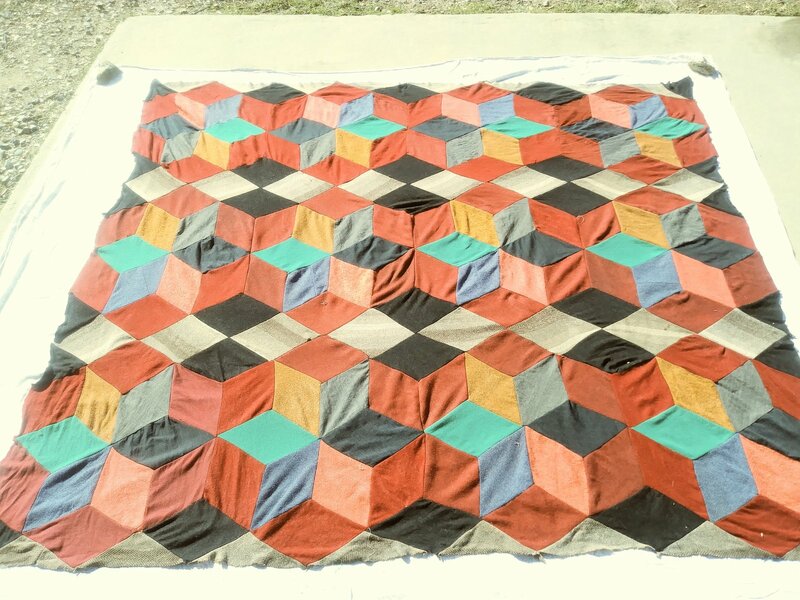 I have a customer quilt made of wool, wool blend, corduroy, and gabardine suits or skirts. The customers grandmother made it 40 years ago. I'm going to quilt it from the front so that I can work out the fullness. Is it best to quilt closer, or to quilt farther apart, when working out the fullness? I've done quilts with some fullness, but never as much as this one has. I plan on just stippling it. Most of the work is in prepping it. It was a mess. I plan on using wool batting and a cotton back. **Side note: I washed this 4 times, using color catchers every time. The water rinsed clear. Nonetheless, one of the reds still bled onto a gabardine fabric next to it. I manage to get most of it out. Thank you Jim. I have some 80/20 I could double up on. Is that comparable to one layer of high loft? Thanks Jim. I think I'm going to need it on this one.